You get what you see: The biggest advantage of buying a ready to move in property is you get what you see (well, in most cases) and chances of getting duped by the developer or broker are few and far between. It is also for your eyes to judge whether the flat specifications and other amenities match the promised standards. Verifiable legal status: Since the property is already completed, it is easy to check if the developer has obtained Occupancy Certificate and Completion Certificate or not. You should also get your lawyer to verify the Land Title to save yourself from any future hassles. No service tax: The good news is that you don't have to pay service tax if you invest in a ready to move in property. The rate of this tax payable is around 5% so that's quite a bit of money you save. Surroundings: Buying a ready property lets you have a feel of the community, gauge the kind of neighbours you will be living around with and then decide if you want to sign up or not. Savings on rent: Savings on rental income starts immediately. This is a big plus for those living in rented accommodations. Payment plans: There is no flexibility in payment and you need to pay at one go, including down payment, registration charges, stamp duty, etc. More legal work and documentation: Generally, ready-to-move-in properties require a lot of legal work and paper work for property transfer and ownership vis-à-vis buying an under construction property. This is because a ready property would require multiple visits to Registrar’s office. Inflated cost: Buying an under-construction property brings in a promise of handsome price appreciation till the time its ready for delivery. By the time it’s ready to occupy, the prices are already inflated leaving not much room for further increase. Limits on modification: There is little scope of modifications and alterations to the layout. Minor internal modifications can be done easily but completely refurbishing a flat comes at a huge cost. Limited choice: Buyers have restricted options when it comes to ready-to-move-in flats. Once you choose the project, there are bleak chances that you will get your preferred floor and view. So you either compromise or start the hunt all over again. Buyers also have to decide quickly because of the high demand and limited units. Hi, I am planning to have a ready to move in floor from Vatica India Next in Sector -83 Gurgaon. The Floor is constructed on 240 square yard area as per the builder. I am planning to take 2nd floor on this. TH eproperty is called Primerose. I wanted to to know what should be right price for this and is this a good property. What is your suggestions for this . thanks ! 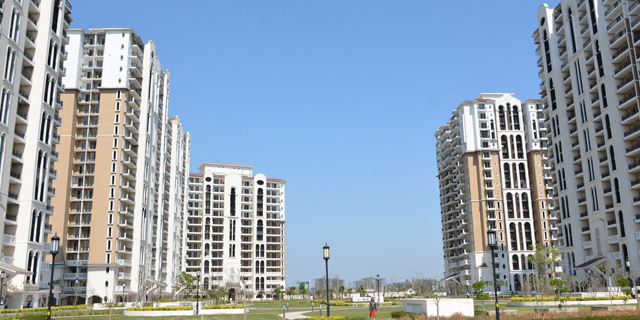 Hi..I intend to buy a ready to move 2 BHK flat in Greater Noida West with a budget of 35 lakhs. Kindly suggest some good projects with better location. I’m really impressed along with your writing abilities as neatly as with the structure for your blog. Is that this a paid theme or did you modify it yourself? Either way keep up the nice high quality writing, it’s uncommon to look a great blog like this one nowadays.. I have to point out my admiration for your generosity supporting folks that should have help on this one idea. Your very own commitment to passing the solution throughout became incredibly advantageous and have continually empowered regular people like me to reach their objectives. This informative key points signifies a whole lot a person like me and substantially more to my fellow workers. Many thanks; from everyone of us. It’s really a cool and useful piece of information. I’m glad that you shared this helpful info with us. Please keep us up to date like this. Thanks for sharing. I’d have to examine with you here. Which is not something I normally do! I enjoy studying a put up that can make people think. Also, thanks for permitting me to remark! Thank you, I have recently been searching for info about this subject for ages and yours is the best I have discovered so far. But, what about the conclusion? Are you sure about the source? Attractive element of content. I just stumbled upon your blog and in accession capital to say that I get actually enjoyed account your blog posts. Anyway I’ll be subscribing in your feeds or even I success you get admission to consistently quickly. awseihhk,If you want a hassle free movies downloading then you must need an app like showbox which may provide best ever user friendly interface. After exploring a number of the articles on your web page, I really like your way of writing a blog. I added it to my bookmark website list and will be checking back soon. Take a look at my website as well and let me know what you think. I believe that avoiding ready-made foods would be the first step to lose weight. They can taste excellent, but highly processed foods have got very little vitamins and minerals, making you take more just to have enough strength to get through the day. In case you are constantly eating these foods, changing to whole grain products and other complex carbohydrates will assist you to have more vitality while having less. Thanks alot : ) for your blog post. nmuyjfuhfp Yeezy 2019,A very good informative article. I’ve bookmarked your website and will be checking back in future!